This page is based upon a section that I wrote for Wikipedia. 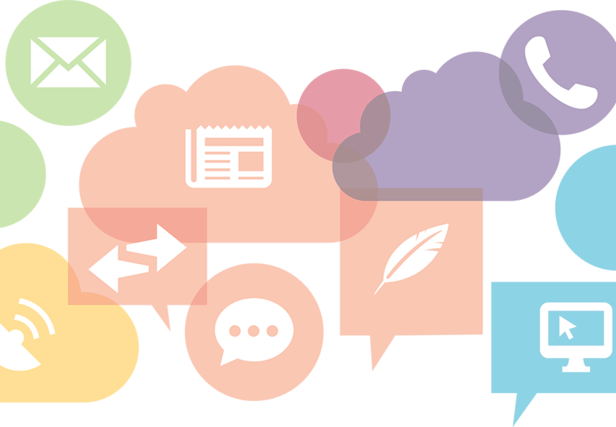 Since future modifications to that article are out of my control, I thought it would be a good idea to archive that material on this web site. The three components of nuclear EMP, as defined by the IEC, are called E1, E2 and E3. The E1 pulse is the very fast component of nuclear EMP. The E1 component is a very brief but intense electromagnetic field that can quickly induce very high voltages in electrical conductors. The E1 component causes most of its damage by causing electrical breakdown voltages to be exceeded. E1 is the component that can destroy computers and communications equipment; and it changes too fast for ordinary lightning protectors to provide effective protection against it. Consumer transient protectors are becoming increasingly able to handle faster rise-time pulses, though. There are special transient protectors that are fast enough to suppress nuclear EMP. Because of the downward tilt of the Earth’s magnetic field at high latitudes, the area of peak field strength is a U-shaped region to the equatorial side of the nuclear detonation. For nuclear detonations over the continental United States, this U-shaped region is south of the detonation point. Near the equator, where the Earth’s magnetic field is more nearly horizontal, the E1 field strength is more nearly symmetrical around the burst location. These 2 MEV gamma rays will normally produce an E1 pulse near ground level at moderately high latitudes that peaks at about 50,000 volts per meter. This is a peak power density of 6.6 megawatts per square meter. The process of the gamma rays knocking electrons out of the atoms in the mid-stratosphere causes this region of the atmosphere to become an electrical conductor due to ionization, a process which blocks the production of further electromagnetic signals and causes the field strength to saturate at about 50,000 volts per meter. The strength of the E1 pulse depends upon the number and intensity of the gamma rays produced by the weapon and upon the rapidity of the gamma ray burst from the weapon. The strength of the E1 pulse is also somewhat dependent upon the altitude of the detonation. The E2 component is generated by scattered gamma rays and inelastic gammas produced by weapon neutrons. This E2 component is an “intermediate time” pulse that, by the IEC definition, lasts from about one microsecond to one second after the beginning of the electromagnetic pulse. The E2 component of the pulse has many similarities to the electromagnetic pulses produced by lightning, although the electromagnetic pulse induced by a very close lightning strike may be considerably larger than the E2 component of a nuclear EMP. Because of the similarities to lightning-caused pulses and the widespread use of lightning protection technology, the E2 pulse is generally considered to be the easiest to protect against. According to the United States EMP Commission, the main potential problem with the E2 component is the fact that it immediately follows the E1 component, which may have damaged the devices that would normally protect against E2. The E3 component is very different from the other two major components of nuclear EMP. The E3 component of the pulse is a very slow pulse, lasting tens to hundreds of seconds, that is caused by the nuclear detonation heaving the Earth’s magnetic field out of the way, followed by the restoration of the magnetic field to its natural place. The E3 component has similarities to a geomagnetic storm caused by a very severe solar coronal mass ejection (CME).4, 5, 6 Like a geomagnetic storm, E3 can produce geomagnetically induced currents in long electrical conductors, which can then damage or destroy components such as power line transformers.5 These currents are often called quasi-DC currents because they resemble the direct current from a battery more than what most people think of as a pulse. 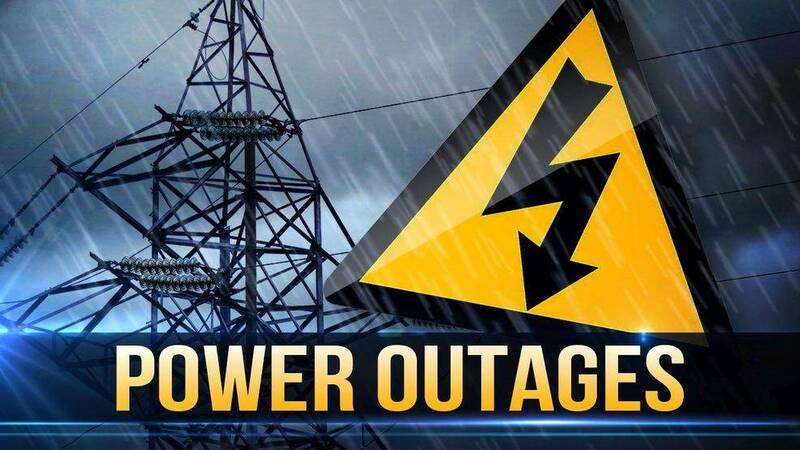 Nearly all of the damage from E3 in modern systems occurs to the AC power grid, which is generally not designed to handle direct currents, especially in critical devices such as power transformers. Because of the similarity between solar-induced geomagnetic storms and nuclear E3, it has become common to refer to solar-induced geomagnetic storms as “solar EMP.” At ground level, however, “solar EMP” is NOT known to produce an E1 or E2 component. 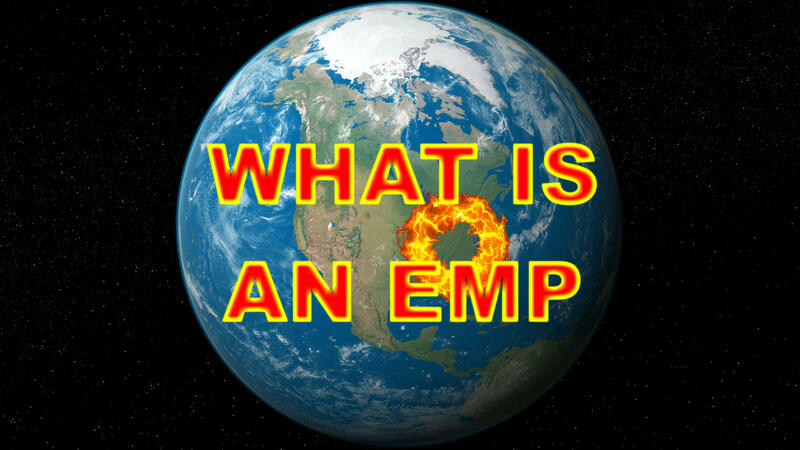 The phrase “solar EMP” has caused a huge amount of confusion in the general public. 2. Longmire, Conrad L. Justification and Verification of High-Altitude EMP Theory, Part 1 LLNL-9323905, Lawrence Livermore National Laboratory. June 1986. 3. Report of the Commission to Assess the Threat to the United States from Electromagnetic Pulse (EMP) Attack. Volume 1. Executive Report. 2004. Page 6. 4. High-Altitude Electromagnetic Pulse (HEMP): A Threat to Our Way of Life, 09.07, By William A. Radasky, Ph.D., P.E. – IEEE. 5. Report of the Commission to Assess the Threat to the United States from Electromagnetic Pulse (EMP) Attack. 6. Meta-R-321: The Late-Time (E3) High-Altitude Electromagnetic Pulse (HEMP) and Its Impact on the U.S. Power Grid by James Gilbert, John Kappenman, William Radasky and Edward SavageBack to the Index of Futurescience EMP pages. What is your Compact Travel Squirrel Getter? I found an amazing piece of survival equipment while working at a gun show this past weekend. I picked up a Garcia Bronco .410 TakeDown Shot Gun in the original box and literature. This amazingly simple shotgun was a survival weapon way before survival weapons were even an thing. It was introduced in 1967 and produced until 1975 and came in either .22LR or .410 shotgun. It was an updated version of the Hamilton Model 7 “Boy’s”rifle made circa 1900. The Hamilton sold for $2.00 in 1900 and it’s predecessor Made by Firearms International Corp. sold In 1967 “The Bronco” for $9.95 using .22 shorts. There are many modern rifles that have adopted similar designs. Here are just a few. 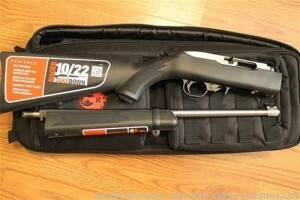 Ruger 10/22 TakeDown Rifle. Shoots .22LR and a great backpacking rifle. These rifles have a lot of upgrades available. 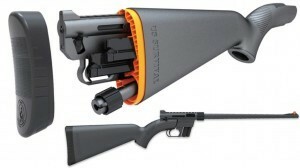 The US Survival AR7 Rifle by Henry. This may be the ultimate in compact design. Semi-auto shooter comes with multiple magazines that easily stores in the stock and the best part it even floats. Here’s my Chiappa Little Badger folding rifle. This heavy duty rifle somes in both .22LR and .22 Magnum. The rifle above is a .22 Mag version with some cool customization. 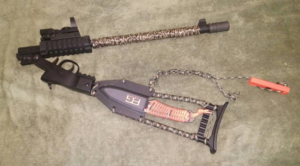 Para cord weaving, red dot sight, threaded barrel accepts multiple accessories like flash suppressors or silencer, and you have creative license to customize how ever you see fit. 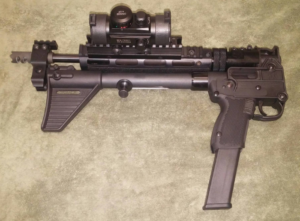 Keltec Sub-2000. Keltec makes some of the most unique weapons anywhere in the world. This carbine rifle is 9mm parabellum and accepts Glock magazines. You can also find this rifle in .40SW and multiple magazine types. The rifle folds in half making it a very small package, perfect for a backpack. Many companies make accessories for Keltec products. My rifle above has a foregrip and front sight upgrade made by Red Lion Precision and a red dot optical sight and 33 round magazine. There are other options available. This rifle will take a standard handgun cartridge and make it deadly accurate out to 100 yards. 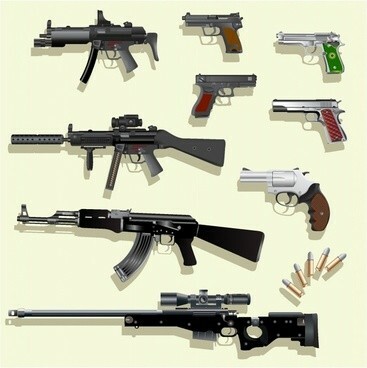 Luck have it, I own all these weapons and like each and everyone for different reasons. The Little Badger for it size and .22 mag power, the Keltec for the tacticool factor, the Ruger for the bullet proof design, and the Garcia Bronc Shotgun for it’s nostalgia. Find the right choice for you. Any of the options you choose, the best one is the one you learn to use flawlessly. Plan, Prepare, Protect. A Closet Full of Toilet Paper. Prepping was just living before it was prepping. I used to love going to Grandma and Grandpa’s house. 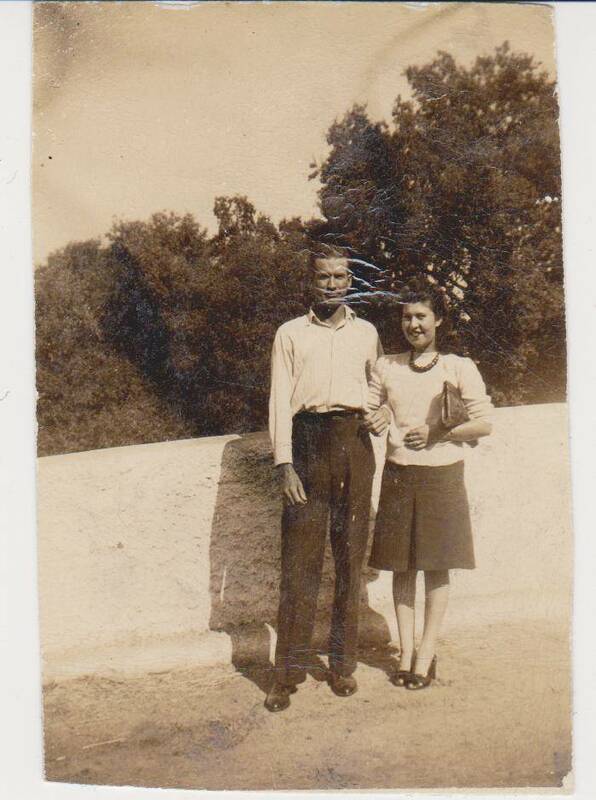 They lived in a country community surrounded by orange groves and barren hills in the foothills of central California. The smell of a wood fire burning is their cast iron stove, the fishing trips to the local lake, and a closet full of toilet paper brings a smile to my face even now. 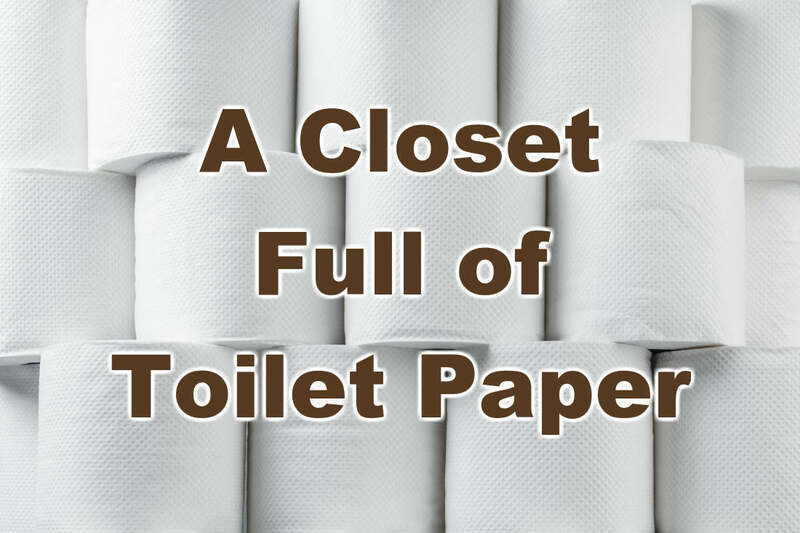 Many laughs were had, at my Grandpa’s expense over the years, about his closet full of toilet paper. When I was a young child I never could understand why they had so much toilet paper, but this is how my story began. 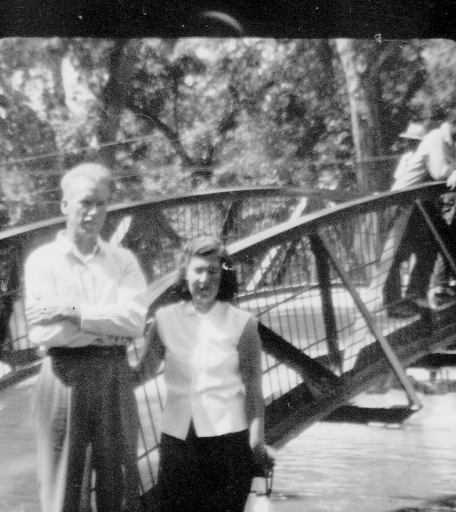 Grandpa Dotson was born in Abilene, Texas , 1917 to parents originally from Tennessee. This was at a time before the Great Depression, but during WWI. As a child, life was not easy, and the family travelled around the area looking for work. They settled in an area with Mom, Dad, and the extended family that needed farm workers. At this time in our history the US was wrapped up in WWI and the war machine and the resulting economics were in full swing. Farms across the country were not sharing in any prosperity the war had produced for many other sectors such a manufacturing and steel working. Farm and produce prices plummeted and farm workers were left behind. You can see from the charts below, Farms were beginning to be foreclosed upon at a higher and higher rate year after year. 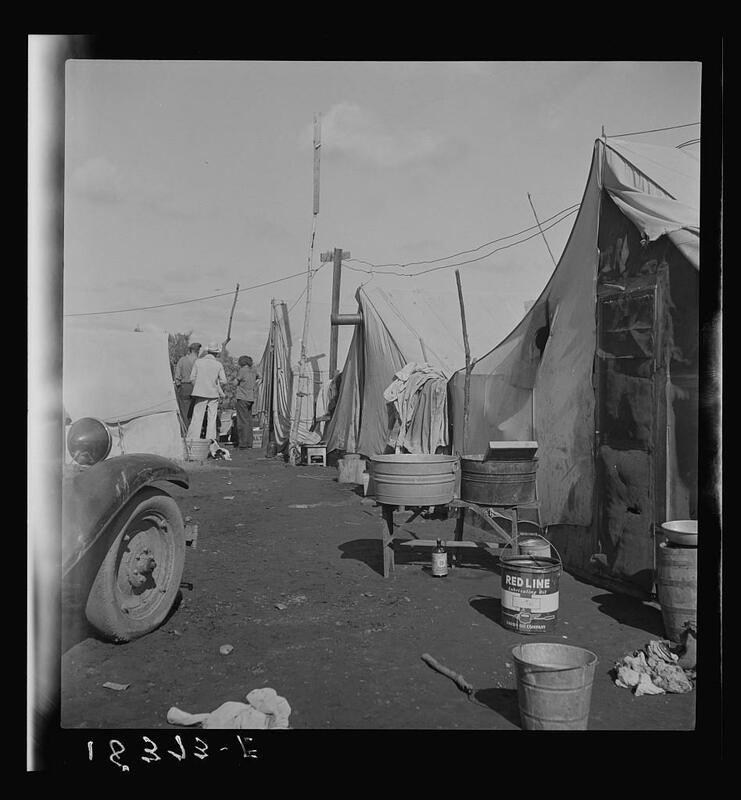 Displaced farm workers were forced into a situation that was difficult to recover from easily. Since Most farm workers didn’t know much other than farming, as it was a way of life. To compound things, workers that once worked in the fields picking cotton and fruit were experiencing displacement by more and more modern equipment, making large farms more efficient, and smaller farms that couldn’t afford equipment, just failed. Sharecropping had then become the family business, and farm workers did whatever they could to put food on the table. This proved to be a difficult thing to accomplish. Sharecropping is a form of agriculture in which a landowner allows a tenant to use the land in return for a share of the crops produced on their portion of land. Mostly families would sharecrop because it was the only option left. Media many times, shows poor black families were tied to the land with no way out, but all ethnic families were affected. 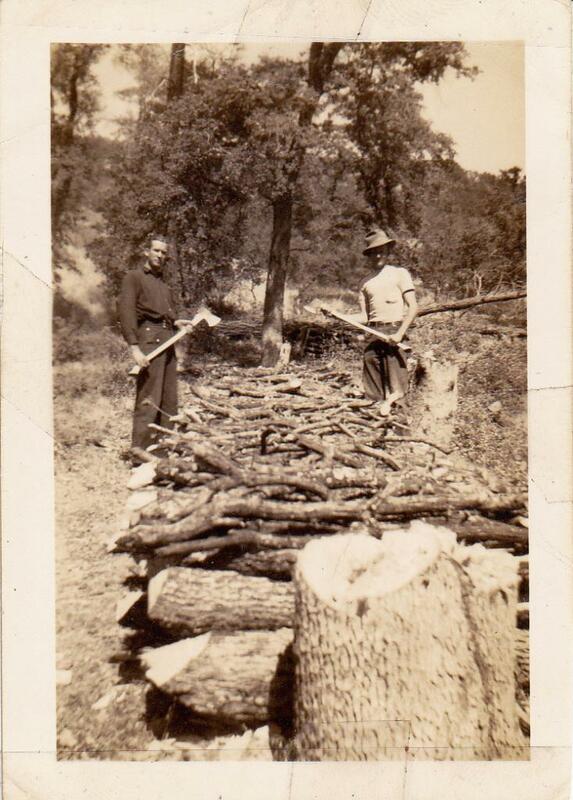 My grandfather’s family were sharecroppers and lived by and off the land, literally. 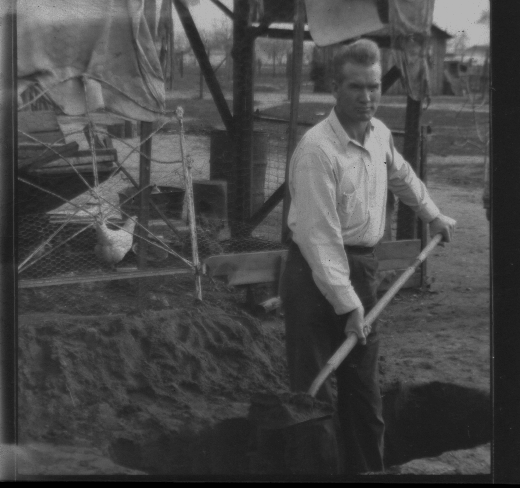 After Delbert’s Grandparents died and mid Great Depression, the family out of opportunities, relocated to Farmersville, California to the Government Work Camps for the poor. The entire family had to find work when and wherever they could. His parents, brothers and children picked cotton, oranges, and fruit in various fields around the area. This depressionary time was tough for so many families and people were suffering. The Grapes of Wrath was much more than a book by Steinbeck, it was real life and it wasn’t easy. 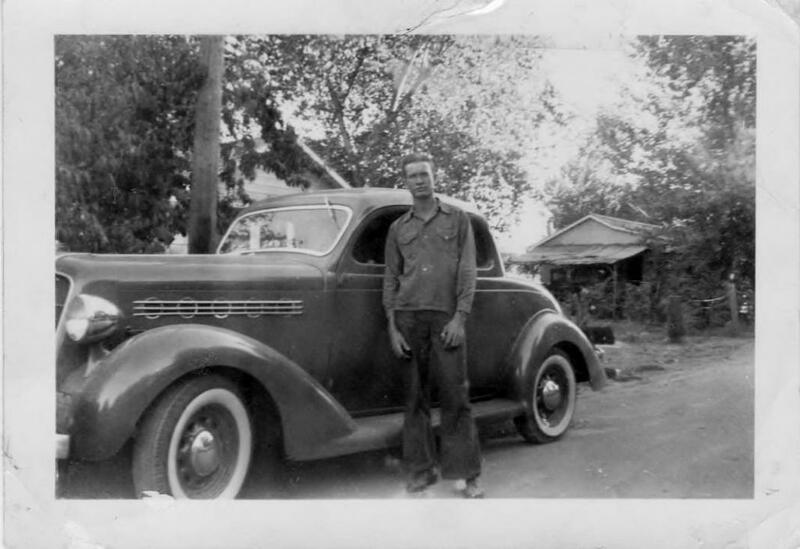 The Great Depression, Work Camps, and Starvation were just the precursor to the real challenge for Delbert Dotson. Once The Great Depression broke and families began getting back to work and providing for their families, tragedy struck the family once again. 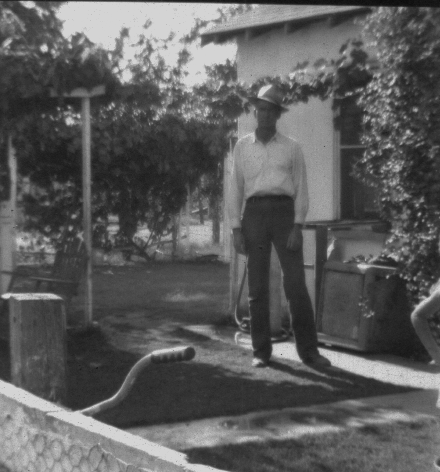 Grandpa Dotson was able to save enough money to buy a parcel of land in a partnership with his brother located in Visalia, California. This parcel included a group of small rental homes and finally allowed the family the appearance of some security. Things were actually beginning to look up. The polio vaccine was beginning to be released in 1955, but 6 years earlier Delbert Dotson was diagnosed with paralytic polio. The virus attacked and left him unable to walk or provide for his family for over a year. He was one of the lucky ones though. The disease didn’t cripple or kill him completely, but rather left him with one side of his body weak and atrophied. He learned to walk again and began working in jobs that didn’t require leg strength. 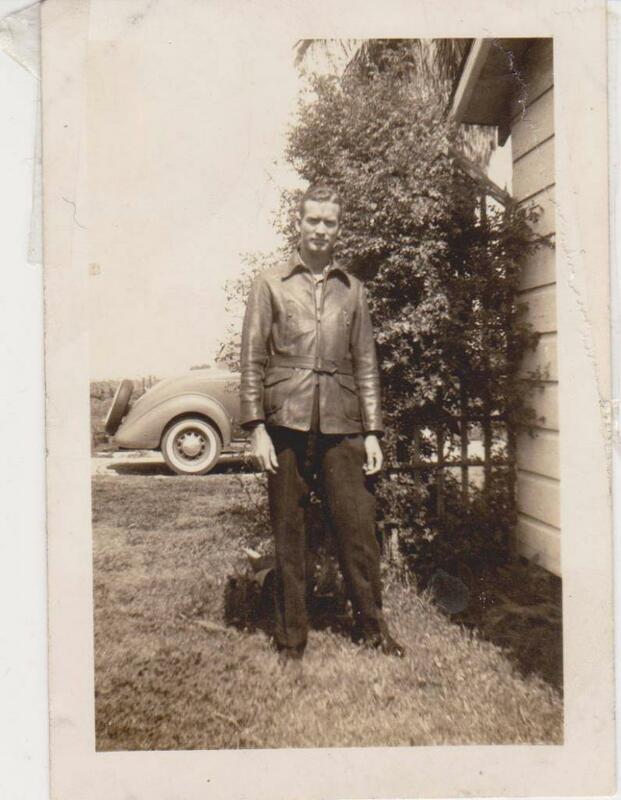 Grandpa never recovered completely, but was able to walk well enough to continue working and still continued to provide for the family. The old adage, “What doesn’t kill you” proved too true on a very real level. 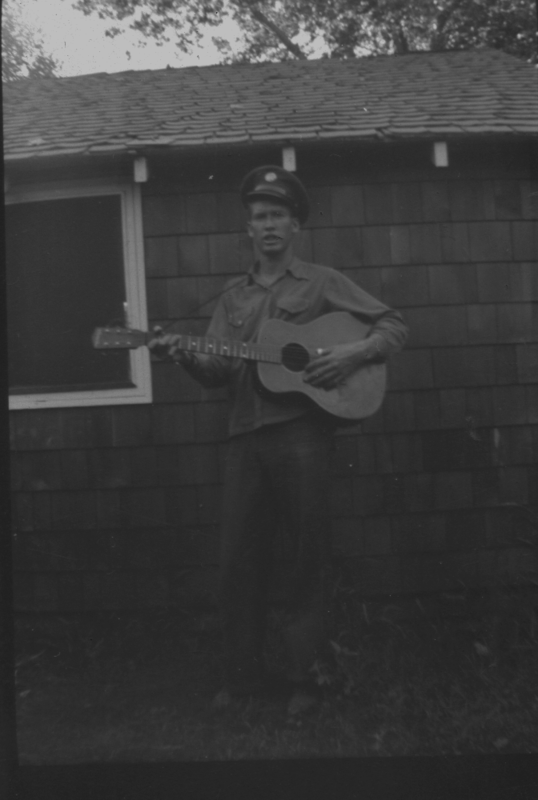 Ruby, his wife, his children and other family members were able to find work in the cannery industry and field work. This allowed the family to keep the property and put food on the table. The lessons learned from a life in the early to mid 1900’s were of hard knocks for so many families. History shows a great time of prosperity for so many families after WW2, and this is true, but many families struck by tragedy, hardships, or wrong career choices, ended up in the food lines at some point. This story is not to dissimilar from many other families born in or around the Great Depression. People that prevailed during hardships learned that the only way to survive, even in modern times, was to work hard and prepare for tough times. At some point, things can and will go upside down. We are currently experiencing the longest period of world peace in human history. Yes the media is constantly telling us how bad the world is, and it is true to a certain level. There are truly bad actors in the world, and we see and hear about their destructive actions all the time. People are dying around the world in war and people are suffering, but as an overall percentage of our population fewer people die in mass today than at any other time in human history. This is your time to prepare. You save in good times for bad. Stock up on food, equipment, and supplies, you may need. The false sense of security could end tomorrow and you have to ask yourself, Are You Prepared? If history has taught us anything, it is that the world can reach a boiling point and spiral down into an abyss of despair. War, disaster, political and economic forces can create a world in which everyone fails. While western societies struggle with which Iphone to buy, the 3rd world is quickly catching up to our stages of development from our early 1900’s and they can and will repeat our mistakes. The fringe religious, the under-represented, and radical mindset, is a modern powder keg waiting for a match. Delbert and his family did finally recover and retired in the foothills of Central California, and this is where all my early childhood memories are based. Toilet paper makes me smile. What? How is this even a subject of this discussion? My grandfather’s giant stash of toilet paper, lends me to believe in the future. Many of us actually prepare in a time that is easy and plentiful. A time will eventually come that requires planning, preparedness, and tough decisions. A time when we’ll call on the great reserve of toilet paper we have in the closet. We prepare to survive and allow our family, children, and grandchildren, to survive whatever situation is thrust upon us. As a child, we never quite understood the closet full of toilet paper. As I became an adult, this became obviously apparent. Toilet paper was a luxury we today take for granted, and also a message about a future that will eventually come. License Free to Share as you see fit as long as you link back to this article in source. The redesigned 50 BMG. Higher output, easier storage, and better air control. Made In USA By Americans. 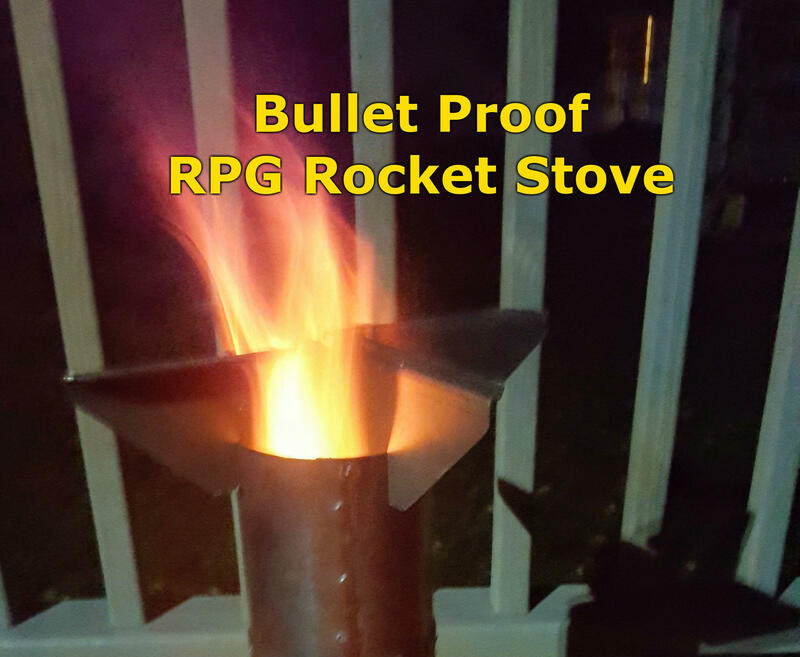 Great Stove for families and heavy duty cooking needs, and accepts 4″ standard venting pipe to use as a temporary heating stove. Includes damper and ash tray for easy cleanout. The post It’s Time To Leave- Part 2, by Pat Cascio appeared first on SurvivalBlog.com. The post It’s Time To Leave- Part 1, by Pat Cascio appeared first on SurvivalBlog.com. 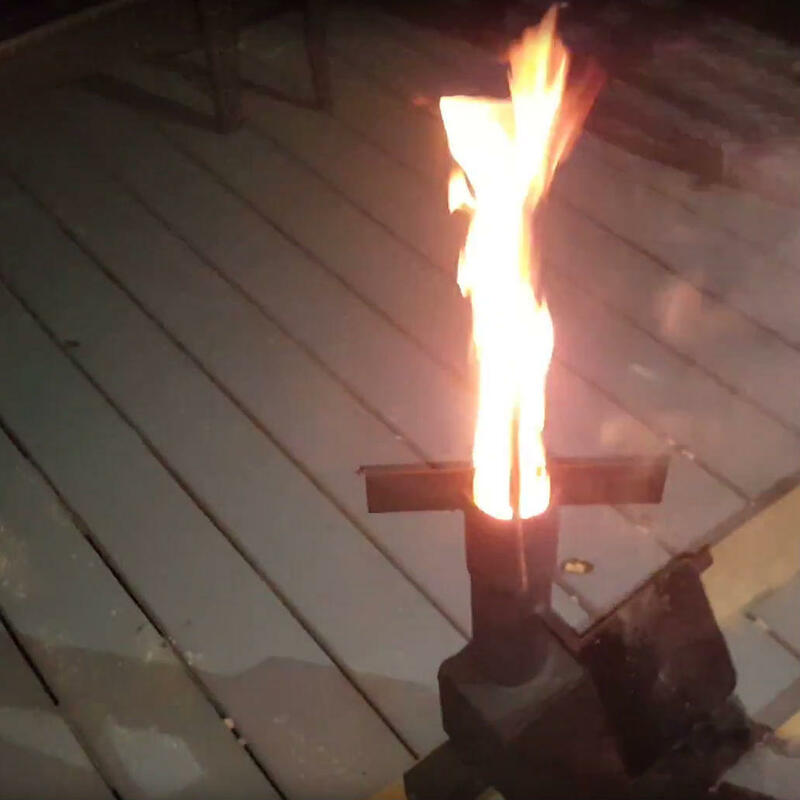 The post Backup Power, A Review by KS appeared first on SurvivalBlog.com. ‘Twas the Night After SHTF- Part 1, by H.C. 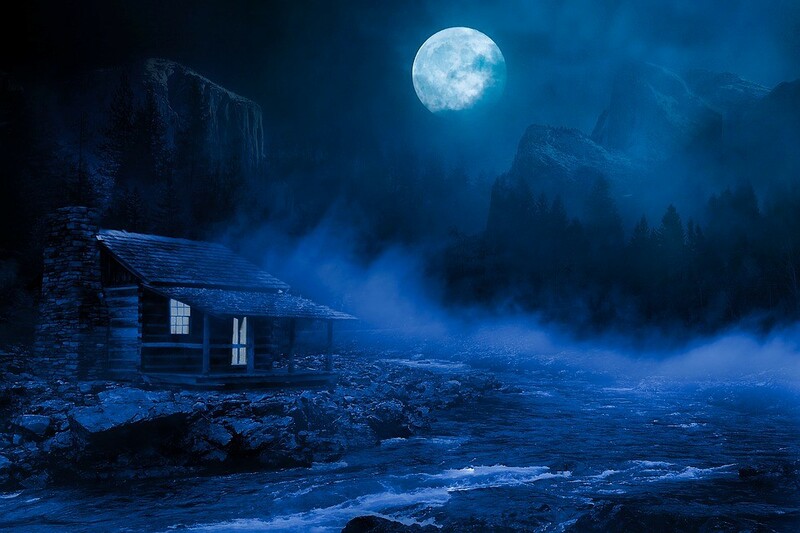 The post ‘Twas the Night After SHTF- Part 1, by H.C. appeared first on SurvivalBlog.com. 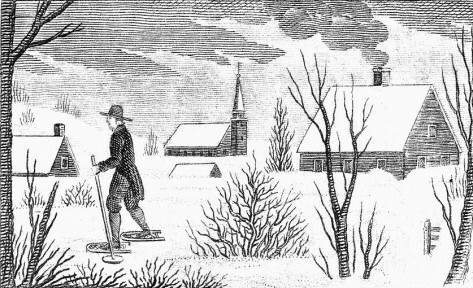 Should We Brace for Severe Winters Ahead? The post Should We Brace for Severe Winters Ahead? appeared first on SurvivalBlog.com. 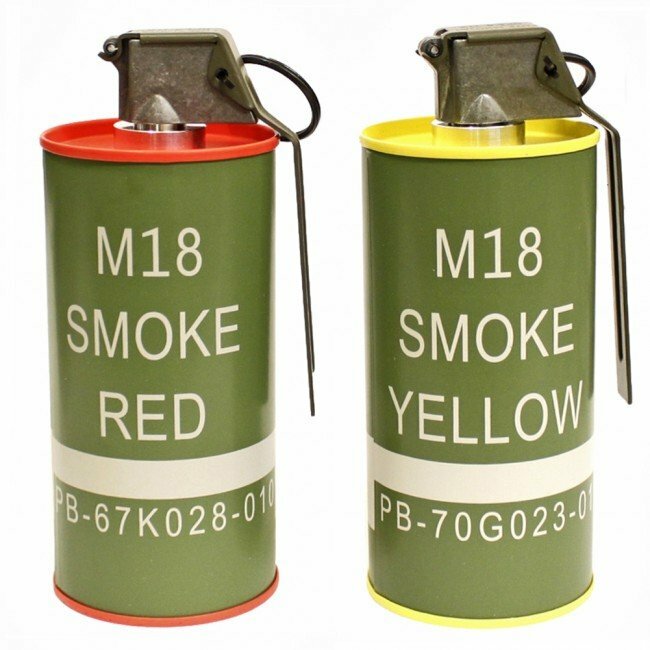 The post Smoke Grenades – Any Utility?, by T. in Virginia appeared first on SurvivalBlog.com. We are excited and honored to have been featured on Skilled Survival website with one of our products. 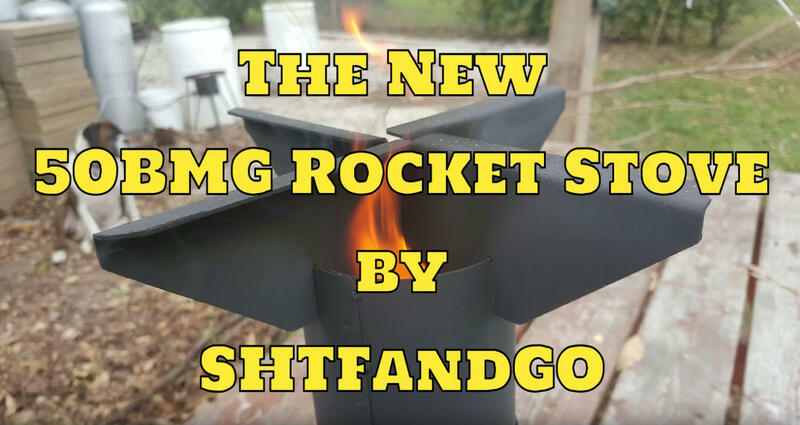 They featured our 50BMG Rocket Stove in the “7 best tent stoves to make you a winter camping hero.” Here is the link to the article. Thank you Justin Jackson and his team for the feature. 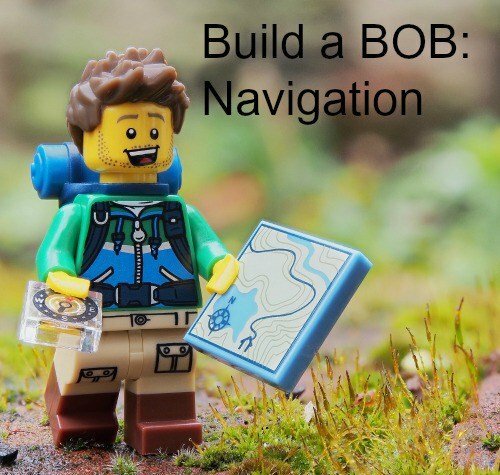 The goal of bugging out is to reach a safe location, such as your predetermined bug out location (BOL) as quickly, safely, and efficiently as possible. That could be considerably hampered should you end up lost along the way. Part of bug out planning involves selecting primary and alternate routes to reach your destination. Those routes should be practiced, too, on a regular basis. 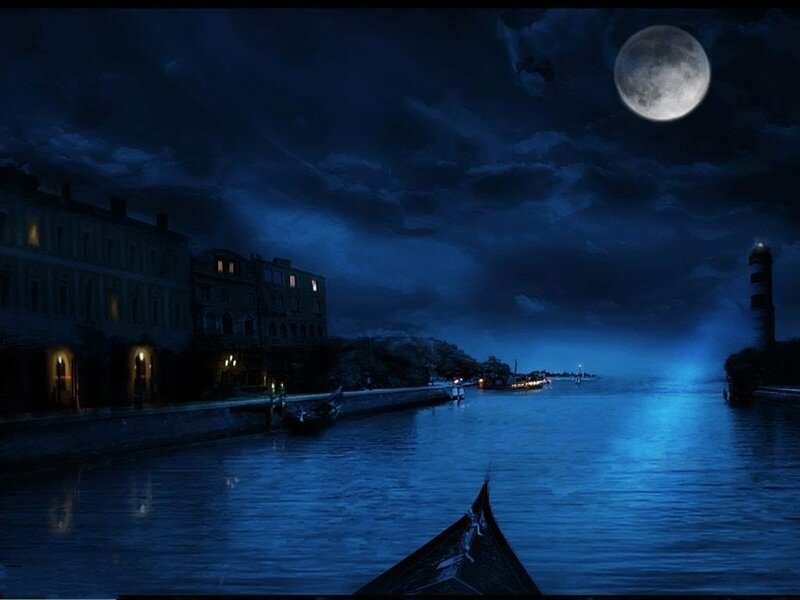 Travel them during the day and at night, in all four seasons, so you can recognize landmarks and such easily. For many people, they already know the BOL area intimately as it is the neighborhood where they grew up or perhaps it is a favorite family vacation spot. Assuming the normal roads are available, they’ll have no problem finding their way there. Mental, Emotional, and Spiritual Preparation for Survival, by S.L. 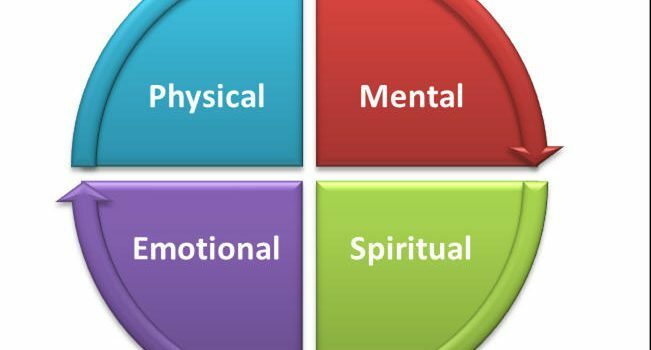 The post Mental, Emotional, and Spiritual Preparation for Survival, by S.L. appeared first on SurvivalBlog.com. The post Guest Article: America Loses When The Trade War Becomes A Currency War, by Brandon Smith appeared first on SurvivalBlog.com. What Would a WROL World Look Like? What are you prepping for? Is it a natural disaster like a wildfire, tornado or hurricane? Those are perfect examples of common events that occur every day. Nature has a way of dealing us unexpected circumstances from time to time and we, as humans try to roll with the situation as best we can. That is one of the benefits of prepping in that you are proactively planning for events, and the fallout of events now before you find yourself possibly affected by disaster. There are large and small examples of emergencies but prepping gives you a method of working through examples and making potentially lifesaving decisions all from the comfort of your computer or as in Sideliner’s case; the easy chair. From a big-picture perspective we can look at regions where certain types of natural disasters are more common. If you live in areas where you have identified many potential risks as part of your prepping plan, some people advocate designing your own threat matrix. A threat matrix is really just a decision-making system where you assign a level of risk and probability to each disaster. This is supposed to help you decide which disaster is more likely or impactful to your life and thus should be worked on first. For example, California has routinely seen floods, earthquakes, mudslides, wildfires and you have to throw in the risk of blackouts, riots, nuclear fallout and most recently drought. You could line all of these threats up on a page, assign them a number and a risk and start making plans accordingly. Now that I think of it, why would anyone want to live in California anyway? As a resident of California this might make sense because you have seen the first-hand effects of these disasters, but what if there was a different type of emergency that we haven’t really seen in this country before? What preparations would you make if you knew now that the FEMA tents weren’t going to be popping up, truckloads of relief supplies weren’t headed your way and that sooner or later scores of news media and Red Cross volunteers weren’t going to be descending on your town to document the devastation? WROL is a term that means Without Rule of Law. I don’t know who coined it first but it seems to accurately describe the worst type of scenario preppers imagine. A WROL world could spring up spontaneously or it could grow out of some relatively common natural disaster. To imagine a WROL world you would simply have to imagine no police, fire or ambulances coming to your aid. In a WROL world you would be on your own or left with your band of friends and neighbors to provide for yourself all of the services that are now gone. If you look around you might have seen glimpses of a WROL world even if they are quickly controlled. Looting is an example of WROL behavior and so are riots. The two go hand in hand but the police rely on controlling the crowd to a large extent to keep these events from growing much larger than they are. If the police are not available or are overwhelmed, what happens then? 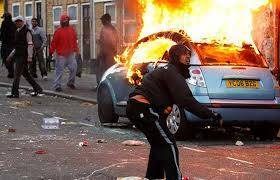 When the rioters and looters don’t have any reason to stop the spread of rage and violence, what do they move on to next? Imagine something as benign as the power grid failing for some arbitrary period. Let’s say a fluke takes out the power for the entire eastern seaboard for one month. This could be a terrorist caused outage, solar flare or some random chain of events that causes a domino effect of failures to equipment and systems. Imagine also that this happens in August and the east coast is also experiencing warmer than usual weather. Without power, what could possibly happen in the US? Do you think riots would break out? Could you see looting of stores? Without power there would be no way to refrigerate food. You wouldn’t be able to pump gas, run credit card machines or ATM’s, air conditioners or ice makers. Cell towers would be ineffective. Would you be able to go to work? Not likely unless your job involved something manual that was completely not reliant on electricity or fuel. My job is 100% dependent on the internet and electricity. Public transportation would be down and even government services would be unable to help. So what would millions of hot, hungry and panicked people do? What would you have to worry about in a WROL world? Is this all a fairytale? Maybe. There are a lot of people who believe nothing bad like this will ever happen and that our way of life will keep on chugging along in more or less the same fashion it always has. I have said many times that I hope that is our shared reality, but I am planning for the chance that it doesn’t. My own threat matrix is my gut. You will find no shortage of people who say worrying about things like this is a waste of effort. By very definition WROL means there is law and order so normalcy is pretty much out the window. With a failure like this there wouldn’t be enough police, National Guard or military combined to help everyone out. All of these soldiers, police and firemen would have their own families to watch over most likely and I could see many of them, if forced to choose between going to work stopping a riot or staying at home to defend their wife and kids would choose the latter. Again, there will be those who disagree and say that the professional soldier, police officer or fireman would never abandon their post and communities will rally together to take care of one another in times of crisis. Maybe when the crisis is over, but not while everyone is going through it. What can you do now to prepare for WROL? My WROL scenario above is relatively short-lived. There have certainly been natural disasters where the destruction caused power outages for a long time. In my example, presumably we would have half a country that could rally to help us but assume for a second help isn’t on the way. You are on your own for a month of potential lawlessness. Imagine a month of the Purge lived out in real life? Who makes the best target? They guy right in front of you. If there is widespread violence being carried out in the name of rage or of need, stay far away from it. You don’t want to be anywhere near the chaos that is going on and it would be better to let it burn out as much as possible before it gets to you. In this case bugging out may be your best option so have a plan for that contingency in your back pocket. In my scenario you would have plenty of time to make that decision, but you should have prepping supplies together before the ability to acquire them has passed. This includes everything you need for food, water, shelter, security and hygiene for a minimum of 6 months. Start small if you have to. 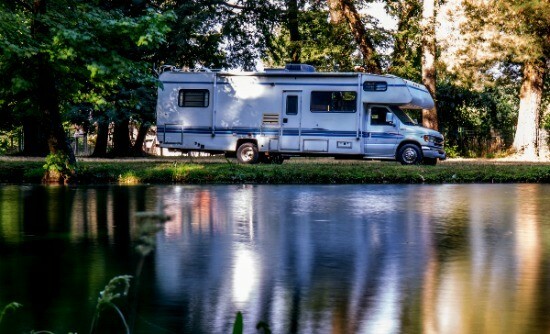 If you do have to travel or bug out, you don’t want to go it alone. Someone needs to be there to watch your six and potentially pull you out of trouble. In a without rule of law world, I foresee deadly force as being much more prevalent and warranted if your life is in danger. I am not saying to go out and shoot people walking down your street, but if they are threatening your life then you have a choice to make. It is better to consider this now as opposed to in the moment even though I realize and admit that thinking about killing someone is a lot different from actually pulling the trigger. If there is a real threat of violence in your neighborhood, you won’t be able to simply lock the door and hope they will go away. If you haven’t already, post-event you should form up with your neighbors immediately to draw up plans for security and address any needs of anyone in your local group. Whatever you did or didn’t do before the event will need to go out the window if you want to survive. It takes more than one person to stand guard all night. And legally. I am a big advocate of responsible firearm ownership. This assumes you have the training and knowledge of how and when you should discharge that firearm in the course of defending your life. It has been said that the only thing that stops a bad guy with a gun is a good guy with a gun and I believe that. Just make sure you are the good guy in this situation. A WROL world is what I envision as a mixture of a war zone and a mad-max movie rolled all into your favorite disaster flick. Essentially, I never want to go through anything like this but if something this catastrophic comes your way, you better make sure you have a plan and you are ready to go. The post PGP for Preppers- Part 2, by Groundhog Gravy appeared first on SurvivalBlog.com. The post PGP for Preppers- Part 1, by Groundhog Gravy appeared first on SurvivalBlog.com.